These are just FANTASTIC ! 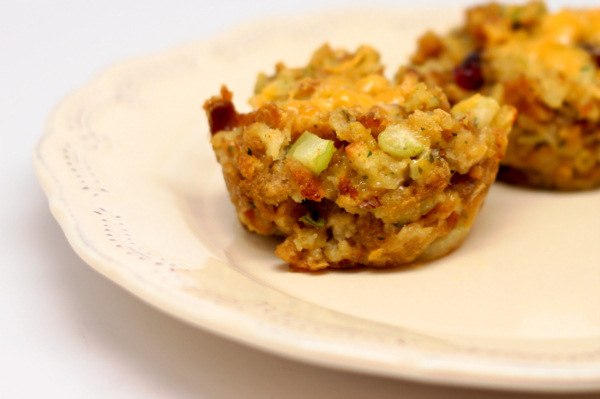 Forget about regular stuffing next Thanksgiving – I am going to make these ahead of time and simply reheat in the oven while the turkey is being carved. These are simply delicious ! Heat oven to 350 degrees. Spray muffin tin with Pam. In a skillet, melt butter and cook celery and carrot 5-6 minutes. Add water and bring to a boil them remove from heat and stir in stuffing mix, craisins and nuts then add 1 cup of cheese and the egg beaters and mix well. Spoon into 10 muffin cups and sprinkle with the rest of the cheese then back 10 minutes to melt cheese. 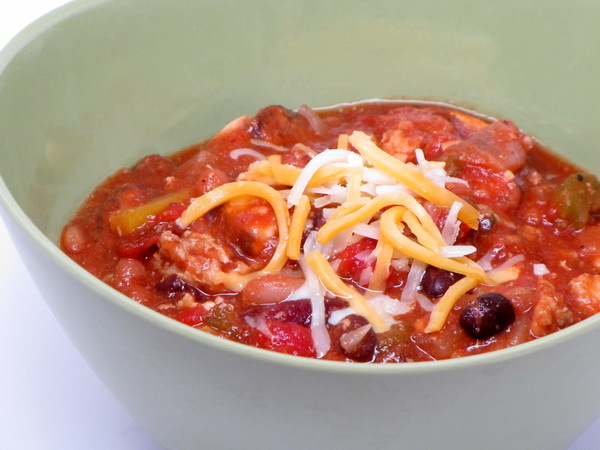 Savory, hot chili – make it as spicy or as mild as you like. This one bulks up the veggies and uses turkey and very lean ground beef so it comes in at a low calorie count for a good sized portion. For 400 calories you can have a huge portion ! 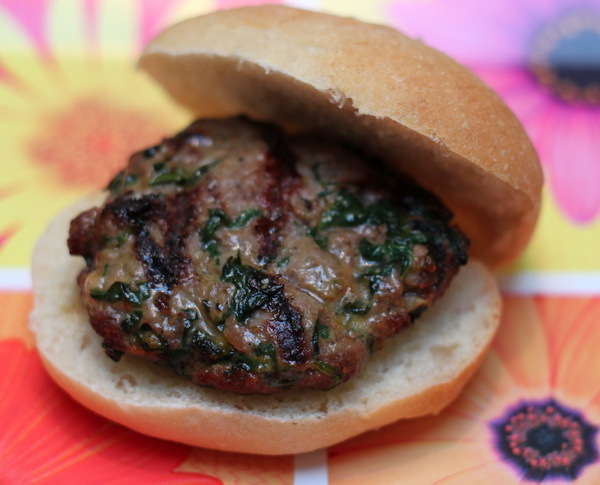 Try making this the next time you have a football party. All the different tomato products used in this recipe have their own unique flavor and the combination of them is just perfect. But if you don’t particularly like one or another, feel free to substitute. Cook this stovetop for hours to get that deep, rich, long simmer flavor – or you can cook this in the crock pot all day long while you are at work. 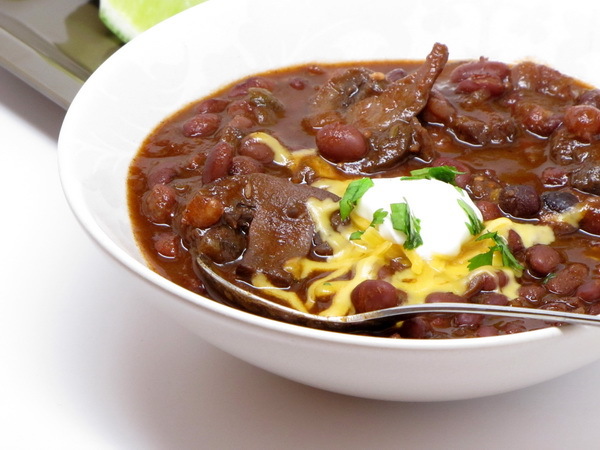 Chili also does well in a pressure cooker. If you need instructions, just write to me and I’ll be happy to send you info. The leftovers freeze well – so don’t be afraid of the huge serving size. You can also cut this in half and make 10 servings – just halve everything. Serve with low fat sour cream and low fat shredded cheddar as a garnish / topping. 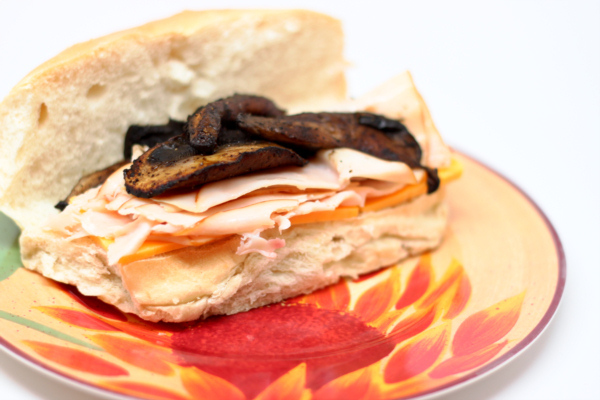 So easy to make – this takes just a few minutes. And the results are SUPER ! There will be lots of yummy noises as your group eats this one up. Serve with low cal crackers. 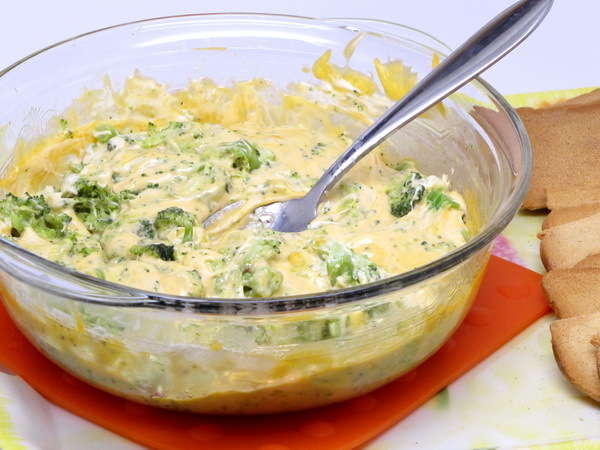 Microwave broccoli in a partially covered dish 8-10 minutes. Add cheddar, cream cheese, tabasco and pepper. Recover and microwave 1-2 minutes or until cheeses are melted. Stir until smooth. Serve immediately with crackers. Spray a skillet with Pam and cook onions and peppers 10 minutes (add hot water a tablespoon at a time if the onions start to dry out). Sprinkle with salt and pepper and mix then add chicken and cumin and cook another 5 minutes or until chicken is almost done (if you are using Perdue Shortcuts, cook just enough to warm chicken). Add salsa and beans and cook another 3 minutes. Spoon mix onto one half of each wrap and sprinkle with cheese and fold. 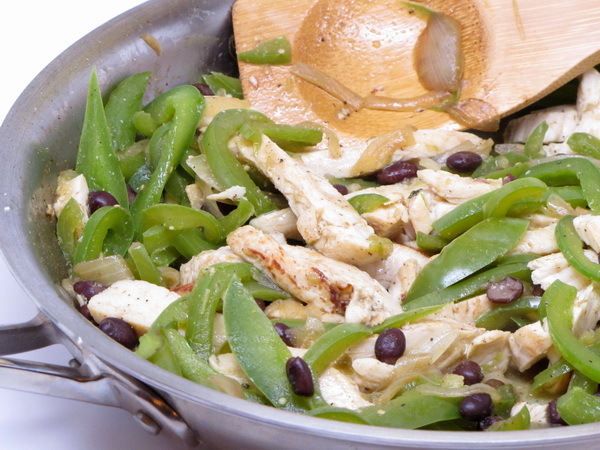 Spray a skillet with Pam and cook quesadillas a couple of minutes each side to brown them. Optionally serve with a bit of no fat sour cream on each. Chop up all your veggies and fixings and lay them out on a platter in rows. 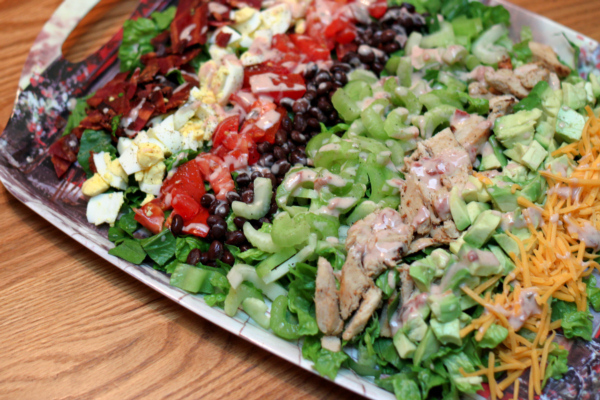 It’s a beautiful presentation and everyone can grab exactly what they want for their salad. The dressing for this one is so simple and so low cal, but it tastes divine ! 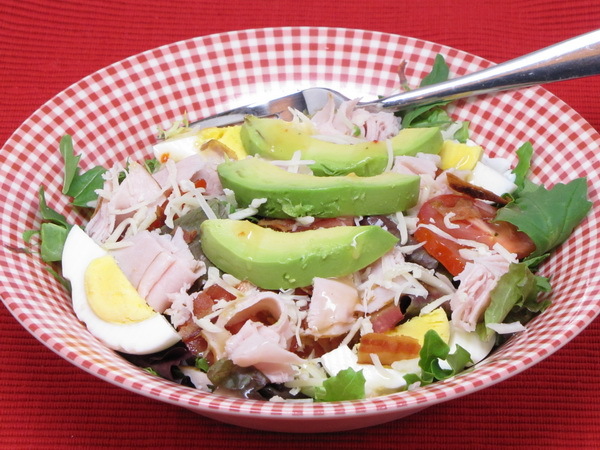 Over a large platter with the greens then arrange chicken, eggs, beans, cheese, bacon, avocados and tomatoes in rows and sprinkle with salt and pepper. Mix the salsa and dressing and pour over platter. 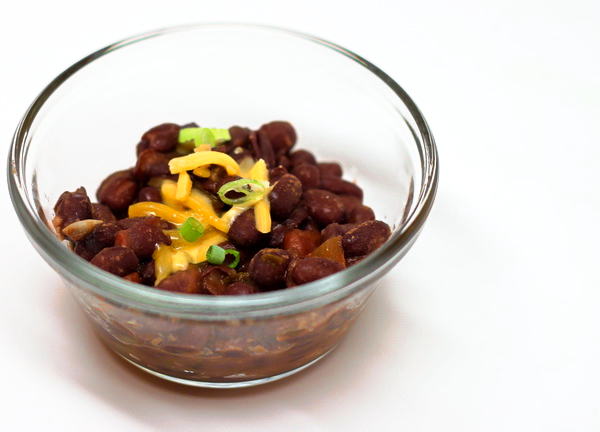 Serve this nutritious bean based meal as a lunch with some cut up veggies on the side. Or serve as a dinner side next to Mexican flavored chicken or fish. Heat oil and cook scallions and garlic 1-2 minutes then add chilies, beans and water and bring to a boil then reduce heat and simmer ½ hour. Stir in salsa and warm through then season with salt and pepper just before serving. Garnish each serving with 1 t shredded cheese.